Thus have I heard. At one time the Lord was staying near Savatthi in the Jeta Grove in Anathapindika’s monas­tery. While he was there the Lord addressed the monks, saying, ‘I will teach you the ariyan [noble] right con­centration with the causal associations, with the accompaniments. Listen to it, attend carefully and I will speak. ‘What is the ariyan [noble] right concentration with the causal associ­ations, with the accompaniments? It is right view, right purpose, right speech, right action, right mode of livelihood, right endeavour, right mindfulness. Whatever one-pointedness of mind is accompanied by these seven com­ponents, this is called the ariyan right concentration with the causal associ­ations and the accompaniments. ‘As to this, right view comes first. And how, monks, does right view come first? If one comprehends that wrong view is wrong view and that right view is right view, that is his right view. And what is wrong view? There is no result of gift, no result of offering, no result of sacrifice; there is no fruit or ripening of deeds well done or ill done; there is not this world, there is not a world beyond; there is no benefit from serving mother or father; there are no beings of spontaneous uprising; there are not in the world recluses and brahmans who are proceeding rightly and who proclaim this world and the world beyond, having realized them by their own superknowledge. This, monks, is a wrong view. ‘And what is right view? Now, I say that right view is twofold. There is right view that has cankers, that is on the side of merit, that ripens unto cleaving to new birth. There is right view that is ariyan, cankerless, super-mundane, a component of the Way. And what is right view that has cankers? There is result of gift, result of offering, result of sacrifice; there is fruit and ripening of deeds well done or ill done; there is this world, there is a world beyond; there is benefit from serving mother and father; there are spontaneously arising beings; there are in the world recluses and brahmans who are proceeding rightly and who pro­claim this world and the world beyond, having realized them by their own superknowledge. This is a right view that has cankers, is on the side of merit, that ripens unto cleaving to new birth. ‘And what is right view that is ariyan, cankerless? Whatever is wis­dom, the cardinal faculty of wisdom, the power of wisdom, the component of enlightenment that is investigation into things, the right view that is a com­ponent of the Way in one who, by de­veloping the ariyan Way, is of ariyan thought, cankerless thought, conversant with the ariyan Way — this, monks, is a right view that is ariyan, cankerless, supermundane, a component of the Way. ‘Whoever makes endeavour for the riddance of wrong view, for the at­tainment of right view, that is his right endeavour. Mindful, he gets rid of wrong view; mindful, entering on right view, he abides in it. This is his right mindfulness. Thus these things circle round and follow after right view —that is to say: right view, right endeav­our, right mindfulness. ‘As to this, monks, right view comes first. And how does right view come first? If one comprehends that wrong purpose is wrong purpose and that right purpose is right purpose, that is his right view. And what is wrong purpose? Purpose for sense-pleasures, for ill-will, for harming — this is wrong purpose. And what is right purpose? Now, I say that right purpose is two­fold. There is right purpose that has cankers, is on the side of merit, and ripens unto cleaving to new birth. There is right purpose that is ariyan, cankerless, supermundane, a factor of the Way. And what is right purpose that has cankers? Purpose for renunci­ation, for non-ill-will, for non-harming. ‘And what is right purpose that is ariyan, cankerless? Whatever is reason­ing, initial thought, an activity of speech through the complete focussing and application of the mind in one who, by developing the ariyan Way, is of ariyan thought, of cankerless thought, and is conversant with the ariyan Way—this is right purpose that is ariyan, cankerless, supermundane, a component of the Way. ‘Whoever makes endeavour for the riddance of wrong purpose, for the attainment of right purpose, that is his right endeavour. Mindful, he gets rid of wrong purpose; mindful, entering on right purpose he abides in it. That is his right mindfulness. Thus these three things circle round and follow after right purpose — that is to say: right view, right endeavour, right mindful­ness. ‘As to this, monks, right view comes first. And how does right view come first? If one comprehends that wrong speech is wrong speech and that right speech is right speech, that is his right view. And what is wrong speech? Lying, slanderous speech, harsh speech, gossiping — this is wrong speech. And what is right speech? Now, I say that right speech is twofold. There is right speech that has cankers, is on the side of merit, that ripens unto cleaving to new birth. There is right speech that is ariyan, cankerless, supermundane, a component of the Way. And what is right speech that has cankers? Ab­staining from lying, from slanderous speech, from harsh speech, from gos­siping. ‘And what is right speech that is ariyan, cankerless? Whatever is ab­stention from, refraining from, avoid­ance of, restraint from the four ways of bad conduct in speech in one who, by developing the ariyan Way, is of ariyan thought, of cankerless thought, and is conversant with the Way — this is right speech that is ariyan, canker­less, supermundane, a component of the Way. ‘Whoever makes endeavour for the riddance of wrong speech, for the attainment of right speech, that is his right endeavour. Mindful, he gets rid of wrong speech; mindful, entering on right speech, he abides in it. That is his right mindfulness. Thus these three things circle round and follow after right speech — that is to say: right view, right endeavour, right mindful­ness. ‘As to this, monks, right view comes first. And how does right view come first? If one comprehends that wrong action is wrong action and that right action is right action, that is his right view. And what is wrong action? Onslaught on creatures, taking what has not been given, wrong enjoyment among the sense-pleasures — this is wrong action. And what is right ac­tion? Now, I say that right action is twofold. There is right action that has cankers, is on the side of merit, that ripens unto cleaving to new birth. There is right action that is ariyan, cankerless, supermundane, a component of the Way. And what is right action that has cankers? It is abstaining from onslaught on creatures, from taking what has not been given, from wrong enjoyment among the sense-pleasures. ‘And what is the right action that is ariyan, cankerless? Whatever is abstention from, refraining from, avoidance of, restraint from the three ways of bad conduct in body in one who, by developing the ariyan Way, is of ariyan thought, of cankerless thought, and is conversant with the Way — this is right action that is ariyan, cankerless, super mundane, a component of the Way. ‘Whoever makes endeavour for the riddance of wrong action, for the attainment of right action, that is his right endeavour. Mindful, he gets rid of wrong action; mindful, entering on right action, he abides in it. That is his right mindfulness. Thus these three things circle round and follow after right action — that is to say: right view, right endeavour, right mindful­ness. ‘As to this, monks, right view comes first. And how does right view come first? If one comprehends that wrong mode of livelihood is wrong mode of livelihood and that right mode of livelihood is right mode of liveli­hood, that is his right view. And what is wrong mode of livelihood? Trickery, cajolery, insinuating, dissembling, ra­pacity for gain upon gain — this is wrong mode of livelihood. And what is right mode of livelihood? Now, I say that right mode of livelihood is two­fold. There is right mode of livelihood that has cankers, is on the side of merit, that ripens unto cleaving to new birth. There is right mode of liveli­hood that is ariyan, cankerless, super-mundane, a component of the Way. And what is right mode of livelihood that has cankers? Herein an ariyan disciple, by getting rid of wrong mode of livelihood, earns his living by right mode of livelihood. ‘And what is the right mode of livelihood that is ariyan, cankerless? Whatever is abstention from, refraining from, avoidance of, restraint from wrong mode of livelihood in one who, by developing the ariyan Way, is of ariyan thought, of cankerless thought, and is conversant with the Way — this is right mode of livelihood that is ariyan, cankerless, super mundane, a component of the Way. ‘Whoever makes endeavour for the riddance of wrong mode of livelihood, for the attainment of right mode of livelihood, that is his right endeavour. Mindful, he gets rid of wrong mode of livelihood; mindful, entering on right mode of livelihood, he abides in it. This is his right mindfulness. Thus these three things circle round and follow after right mode of livelihood —that is to say: right view, right endeav­our, right mindfulness. ‘ As to this, monks, right view comes first. And how does right view come first? Right purpose proceeds from right view; right speech proceeds from right purpose; right action pro­ceeds from right speech; right mode of livelihood proceeds from right action; right endeavour proceeds from right mode of livelihood; right mindfulness proceeds from right endeavour; right concentration proceeds from right mindfulness; right knowledge proceeds from right concentration; right free­dom proceeds from right knowledge. In this way, the learner’s course is possessed of eight components, the perfected one’s of ten components. ‘ As to this, right view comes first. And how does right view come first? Wrong view is worn away in one of right view; and those various evil un­skilled things that arise conditioned by wrong view are worn away in him; and various skilled things conditioned by right view come to development and fulfilment. Wrong purpose is worn away in one of right purpose, wrong speech is worn away in one of right speech, wrong action is worn away in one of right action, wrong mode of livelihood is worn away in one of right mode of livelihood, wrong endeavour is worn away in one of right endeavour, wrong mindfulness is worn away in one of right mindfulness, wrong concen­tration is worn away in one of right concentration, wrong knowledge is worn away in one of right knowledge, wrong freedom is worn away in one of right freedom; and those various evil un­skilled things that arise conditioned by wrong purpose, speech, action, liveli­hood, endeavour, mindfulness, concen­tration, knowledge and freedom are worn away in him; and various skilled things conditioned by right purpose, etc come to development and fulfilment. So there are twenty components on the side of skill, twenty on the side of unskill. The disquisition on dhamma pertaining to the Great Forty that has been rolled on is not to be rolled back by a recluse, brahman, deva, Mara, Brahma or by anyone in the world. An abridged version of the Mahcattarisaka sutta ‘ taken from Volume III of The Middle Length Sayings (Majjhima-Nikaya) Translated by I.B. Horner and published by the Pali Text Society. Also see The Four Noble Truths In which Sariputta, one of the Buddha’s disciples, gives a detailed explanation of the Four Noble Truths, the cornerstone of the Buddha’s teach­ing — the truth of anguish, the arising of anguish, the stopping of anguish, and the course leading to the stopping of anguish. ARAHANT: A person who has liber­ated himself from aIl defilements and impurities, and is full of wisdom and compassion. ARIYAN: Noble, pure, flawless, super-mundane. BRAHMA: One aspect of the triune Godhead of Hinduism, with Vishnu and Shiva. But in the Buddhist Scriptures the word is used as an adjective mean­ing holy. The Brahma-faring is the holy life. DEVAS: The heavenly or shining ones, the gods. DHAMMA (Pali), DHARMA (Sanskrit): The teaching of the Buddha; that which supports reality; the truth; the natural state. MARA: Delusion; defilement; death; the personification of evil. STREAM—ATTAINMENT: ‘Stream’ is a synonym for the Way; a fruit of the Way. TATHAGATA: Thus come; the one who neither comes nor goes; one who has attained full enlightenment. 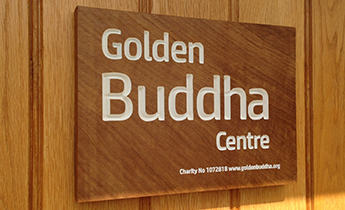 Another name for the Buddha and a name the Buddha often used when referring to himself. 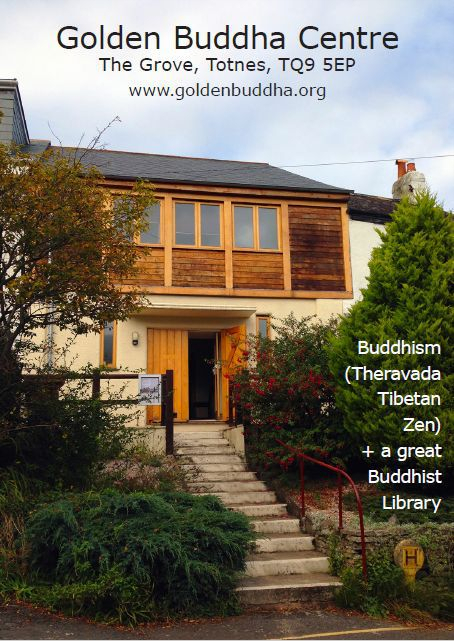 From Buddhism Now online magazine.